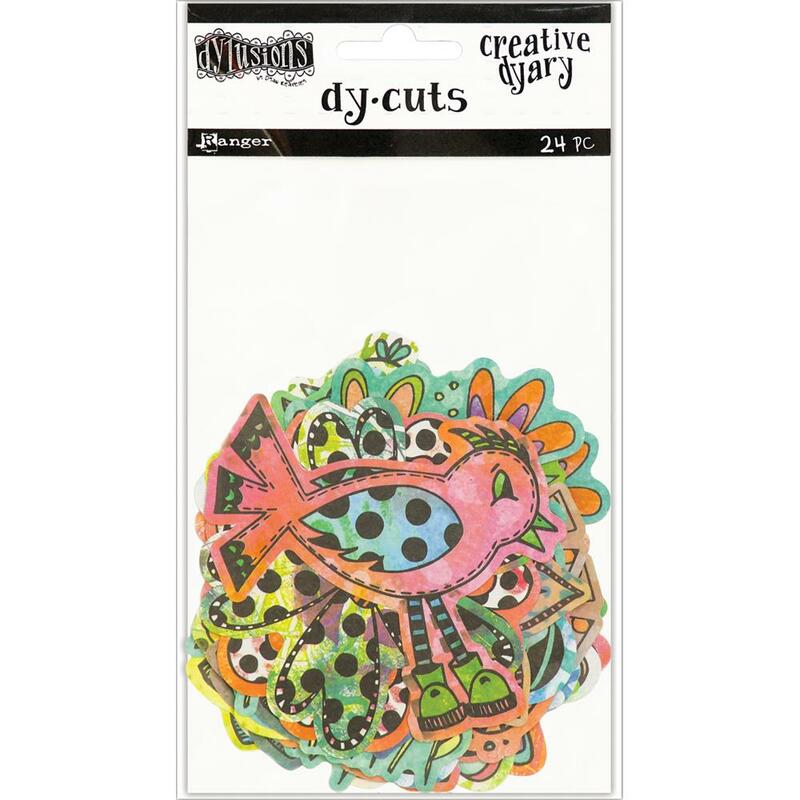 This package contains twenty-four (24) Dy-Cuts that are Colored and ready to use on your Projects, Planners etc. Inside you'll find twelve (12) Designs and two (2 of each design. Part of the Creative Dyary Dy-Cut Collection by Dyan Reaveley at Dylusions / Ranger Inks.